Rafa Benitez is hopeful of securing the signing of Newcastle United striker Demba Ba before Chelsea's FA Cup fixture against Southampton on Saturday. Earlier on Wednesday, the European champions submitted a £7 million bid to Newcastle which triggered the release clause in the Senegal international's contract. With Daniel Sturridge having already signed for Liverpool, Benitez has Fernando Torres as his only recognised first-team striker for his side's trip to St Mary's Stadium. "I don't have any official information about the situation," said Benitez. "The club is working [to sign a striker] and we know that." 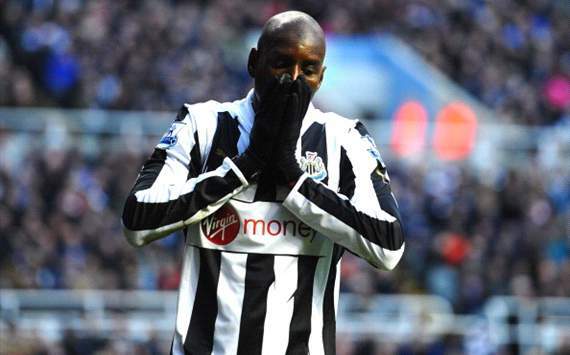 Asked whether Chelsea can sign Ba before Saturday, Benitez replied: "If we can do the business, I hope so." Newcastle boss Alan Pardew admitted he is disappointed to potentially lose such an important player, but he is pleased the saga looks to be coming to a conclusion. Speaking to Sky Sports, he said: "Well there's no swift resolution, it's done, he'll go to Chelsea and with our blessing. “He's been fantastic for us, it's a good club and good luck to him. For us, it's not a bad thing, for all the uncertainty, it's now done, and we'll move on. In some respects I'm pleased."